The classic, Jazz Pizzicato, which audiences have loved for 80 years is now here for bass ensemble (sextet). 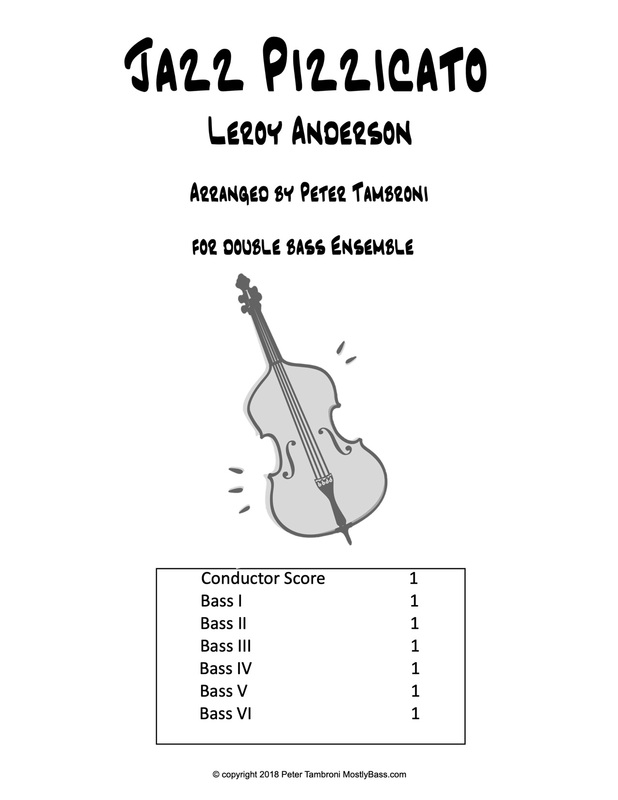 Bass V & VI are easily playable by younger or developing players so your students can join in on the fun. 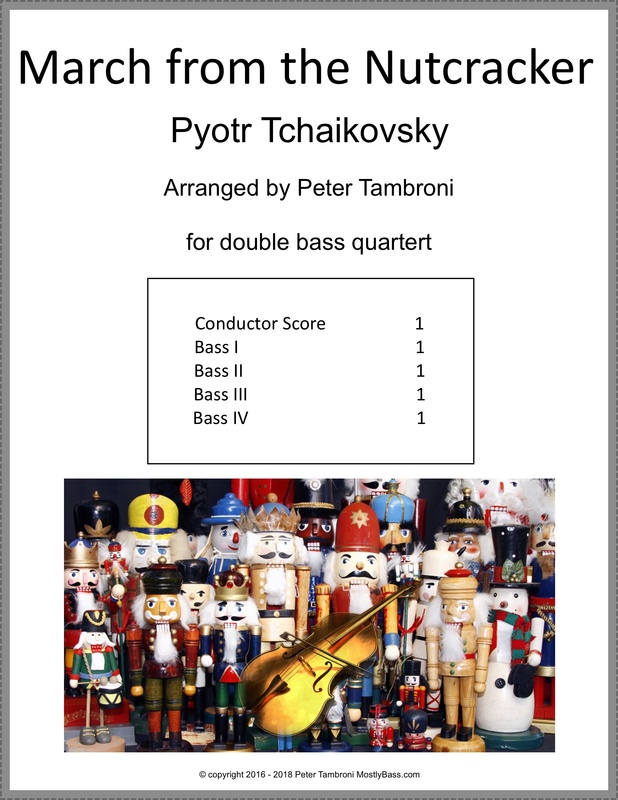 Tchaikovsky's holiday classic is now here for your bass quartet in this charming arrangement. 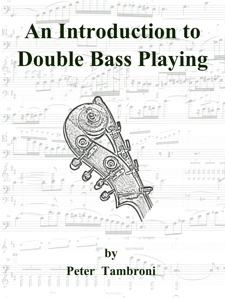 Parts 1 & 2 are fairly advanced, covering most of the range of the bass, while parts 3 & 4 are very accessible to the intermediate player. 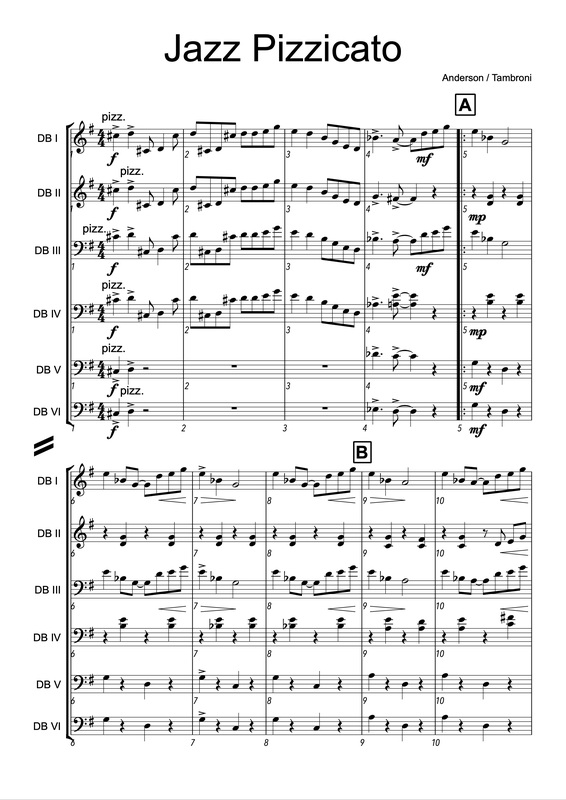 This makes it perfect for teachers wanting to include students in their quartet. 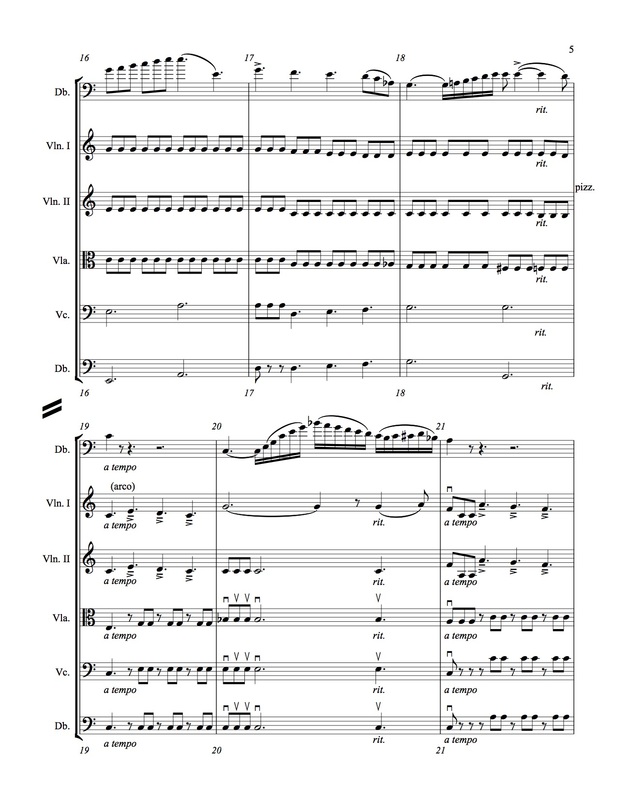 The tempo is flexible and is up to the performers. I suggest a tempo slower than the original. Feel free to make adjustments and changes as needed to suit the performers. Have fun with it! It is sure to surprise and delight the listeners. 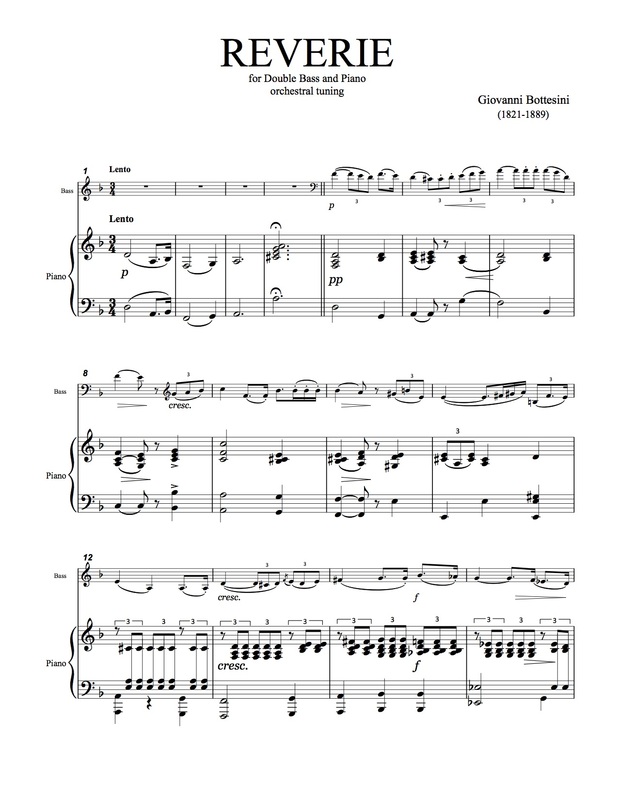 An arrangement of Bottesini's Elegy for bass and string orchestra. As an orchestra teacher I rarely have access to an accompanist. But I see a string orchestra every day. 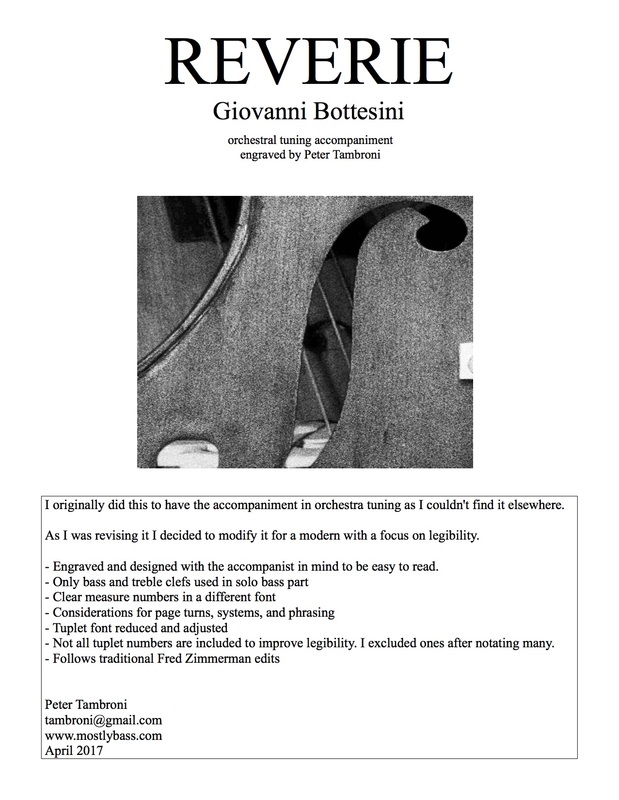 And I'm sure there are bassists out there are looking for something lighter than a concerto to perform with an ensemble. 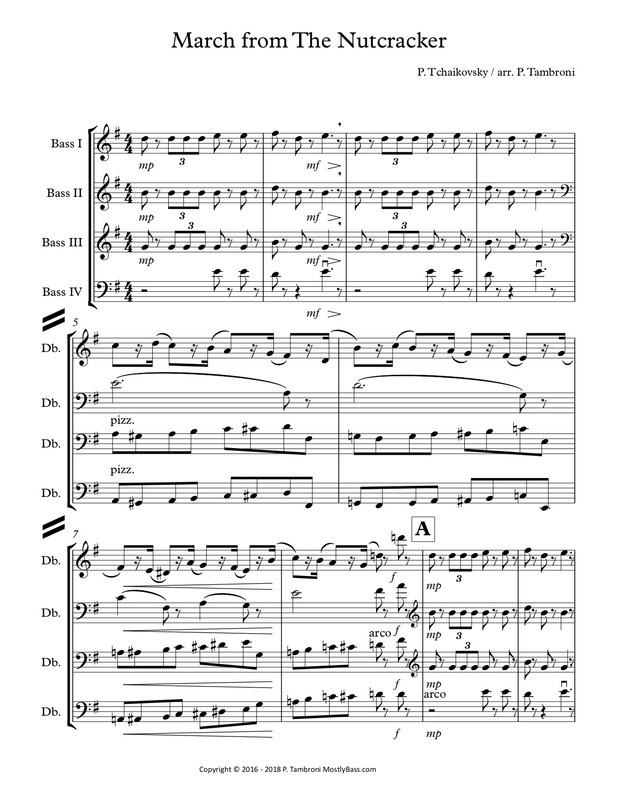 And thus began this arrangment of Bottesini's popular Elegy for string orchestra. It will also work well with a chamber group or quartet.